Even with allegations that various Media Houses in Jamaica has advised its staff to refrain from covering and or publishing material relating to homosexuality. The Jamaican government and others has refused to address the issue with great importance, while many Jamaicans continue to be displaced, murdered and discriminated against because of their sexual orientation. With the negative publicity, local TV stations has continuously sought to edit or not air programmes, advertisements which highlights, mentions or promote homosexual lifestyle and or tolerance. On Tuesday March 3, 2015, a video went viral on social media of an alleged homosexual, who was slaughtered in the streets of the one of the world’s favorite Tourism destination. This comes on the heels of recent articles/interviews published locally in Jamaica about the progression of the Jamaican people in regards to their level of homophobia (February 22, 2015, Jamaica Gleaner). The local entertainment industry continues to foster and promote the country’s growing homophobic blatant stance. 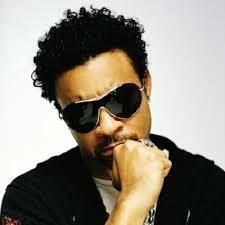 This artiste (Shaggy) stance is testament to such. Though the artiste philanthropist endeavors, accomplishments are respected and acknowledge. It’s quite clear that his utterance are mere propagandist conjectures, insensitive and only homophobic rhetoric said by an ignorant, misguided homophobic individual. The article/interview which only sought to portray the World’s most Homophobic country in a rather good light might have sought to confused Silence of the people for Acceptance. The government and media continues to ignore and refuse to include Human Rights of the LGBT community and other minorities within policies and decision making process. Jamaica and Jamaicans needs our help but in order to do so, WE must admit our failure and or flaws rather than aid in a media campaign to portray inaccuracies as we continue to hide the issues or plight of Gay Jamaicans. Previous Previous post: Majority of Homosexuals Don’t Want to have Dialogue – J-FLAG Director Off-Base.